It’s often the simplest of ideas that make great stag party pranks. This prank gives plenty bang for it’s buck and can be easily done under the influence of beer. So lads don’t leave the groom off lightly on his stag and pull the Mars Bar prank on him. As mention previously this prank is very easy to pull off. 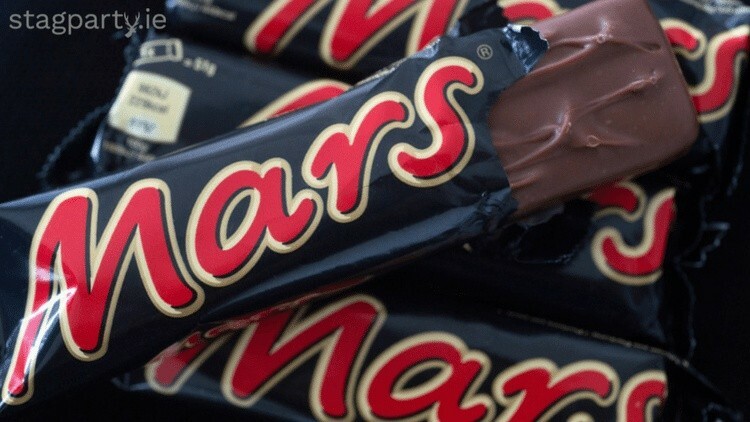 Simply pick up a Mars bar on your way home from or before the stag night. Make sure the groom has had his fair share of beer and shots to celebrate his last night of freedom. Sure we do provide a free round of shots. When the groom finally passes out back in your accommodation for the night, he’ll be pretty much out for the count. That’s when you grab the mars bar. Unwrap it and slide down the back of his jocks. Then play the waiting game. The grooms body heat and weight will ensure that the groom has a sticky situation to deal with in the morning. Have the cameras at the ready lads because you’ll want to make sure to catch his reaction when thinks he had a little accident in his sleep. It’s also hilarious when he realizes what it actually is and then has to try and clean himself up. 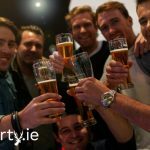 This stag party prank will have everyone in stitches and really is so easy to pull off. So will you be pulling the Mars Bar Prank on your mates stag?